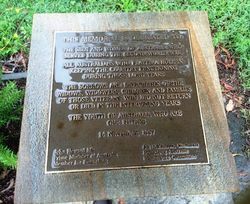 The Memorial Walkway commemorates those who served in World War Two. 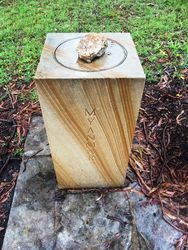 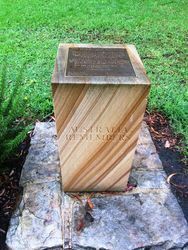 The walkway leads down to the World War One Memorial, and it comprises 42 small, sandstone pillars engraved with the names of all the countries in which Australians fought during World War Two, with rosemary bushes between them. 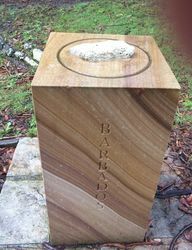 Each pillar has a stone or stones from the relevant country inset at the top. 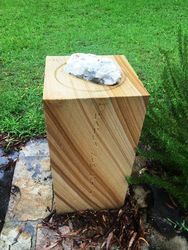 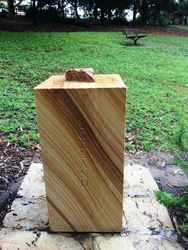 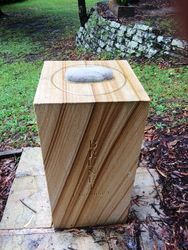 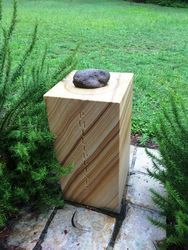 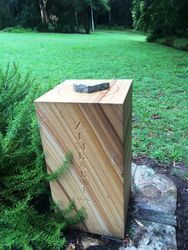 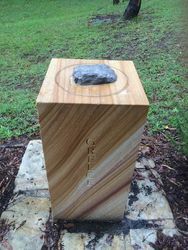 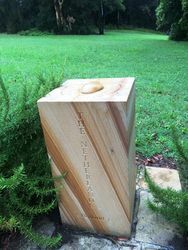 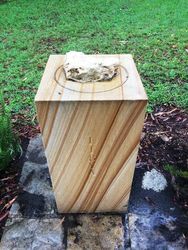 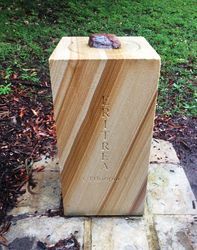 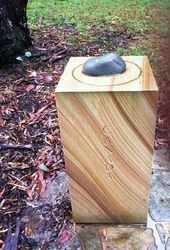 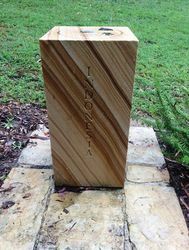 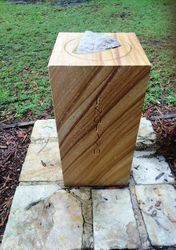 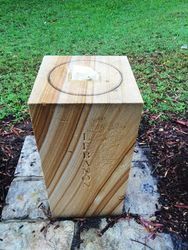 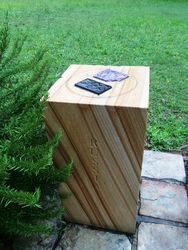 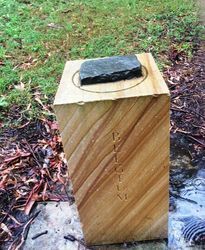 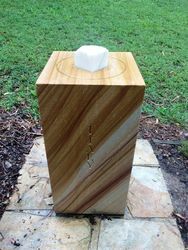 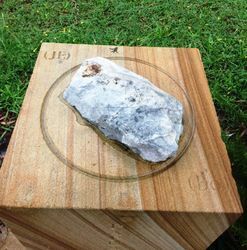 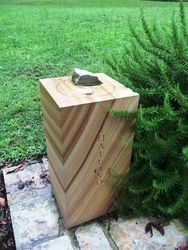 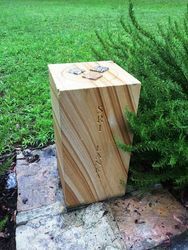 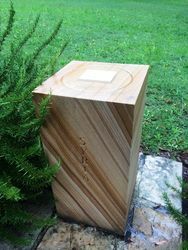 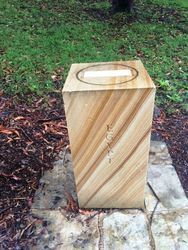 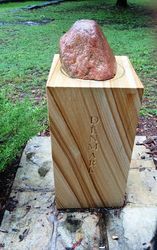 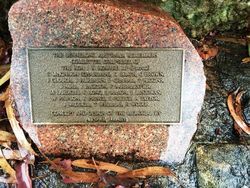 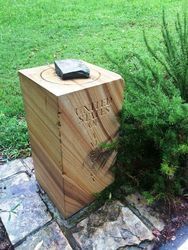 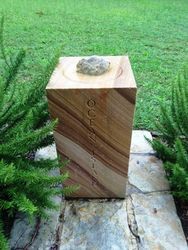 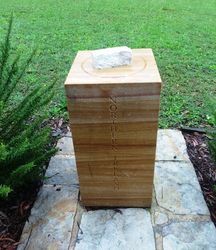 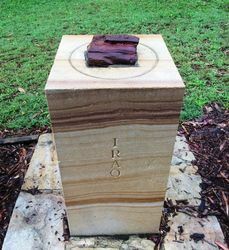 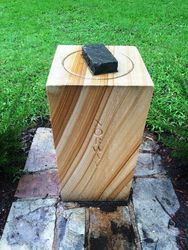 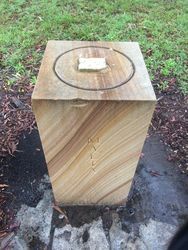 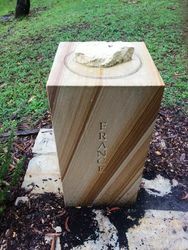 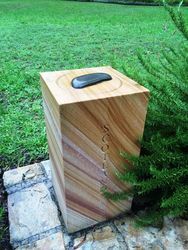 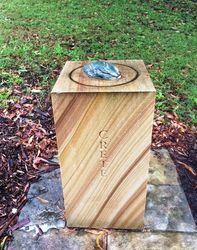 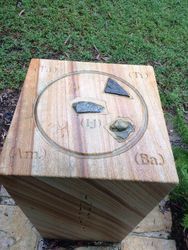 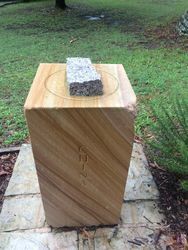 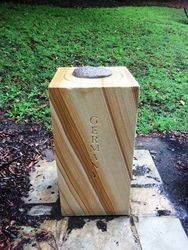 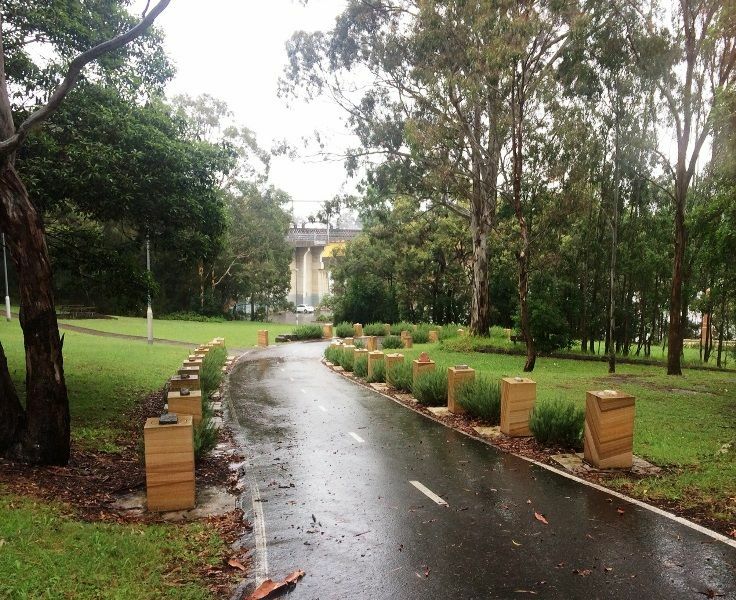 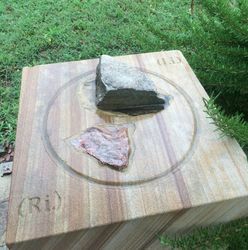 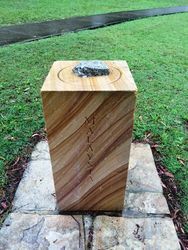 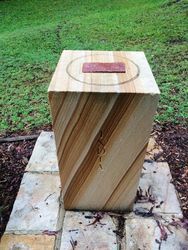 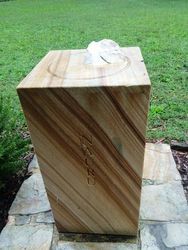 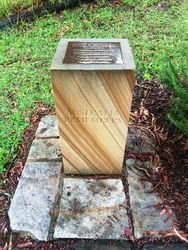 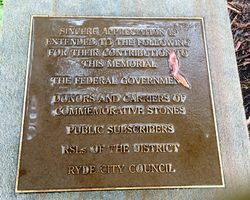 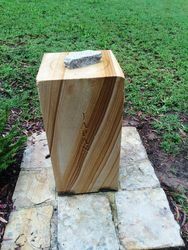 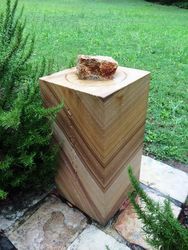 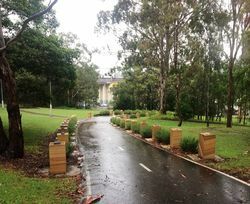 In addition there are two similar pillars and a small sandstone block with 'Australia Remembers' plaques attached. 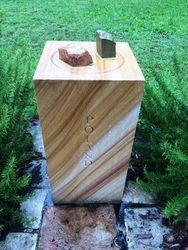 Concept And Design Of The Memorial By A Powe, B. Arch.